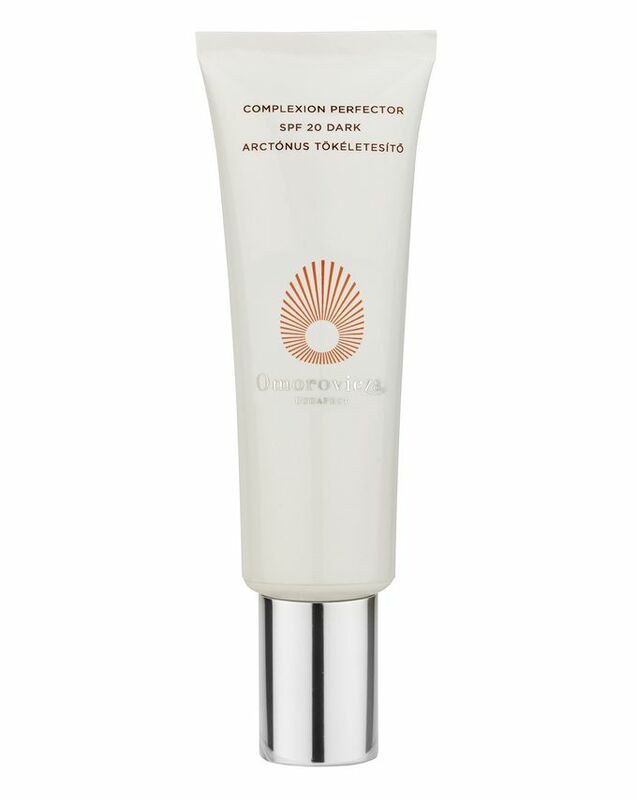 A moisturiser, foundation, sunscreen, concealer and age-defying cream in one, it’s no wonder Omorovicza’s cult complexion cream has been hailed a beauty ‘Swiss army knife’. The sheer formula offers endless benefits, correcting skin tone, blurring lines and wrinkles and plumping with hyaluronic acid to leave skin enviably even, firm and youthful, all while providing SPF 20 protection. In three versatile shades (‘Light’, ‘Medium’ and ‘Dark’) you’ll reach for this sublime skin perfector every day. A flawless formula that does it all, Omorovicza’s Complexion Perfector SPF 20 is the ultimate multi-tasker: it’s a moisturiser, foundation, sunscreen, concealer and age-defying cream in one. Leaving a flawlessly even finish, the sheer formula hydrates skin and protects it from damaging UVA/B rays, in three versatile shades – ‘Light’, ‘Medium’ and ‘Dark’. While correcting your skin tone, it also blurs fine lines and wrinkles and plumps skin, leaving it looking vibrant and luminous – not to mention protecting skin from the sun’s damaging UVA/B rays with SPF 20. It stars hyaluronic acid microspheres which release hyaluronic acid sequentially over time for enduring hydration; collagen-boosting, free radical-neutralising vitamin C; energising, revitalising white lupin; and, like Omorovicza’s entire cult range, the brand’s proprietary Healing Concentrate, which delivers minerals deep into the skin to leave your complexion looking firm, supple and youthful. A skin care dream come true. Apply the BB cream evenly to the face following the application of an Omorovicza serum and/or moisturiser.